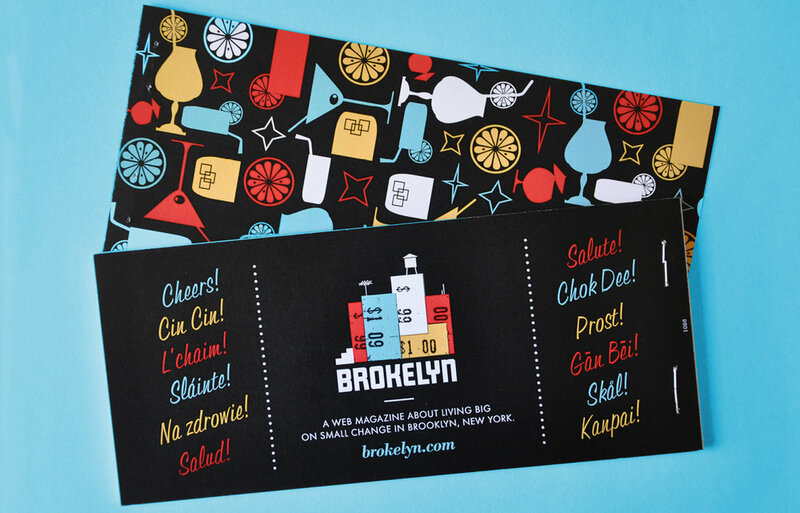 Brokelyn.com is a go-to source for "living large on small change" in Brooklyn. 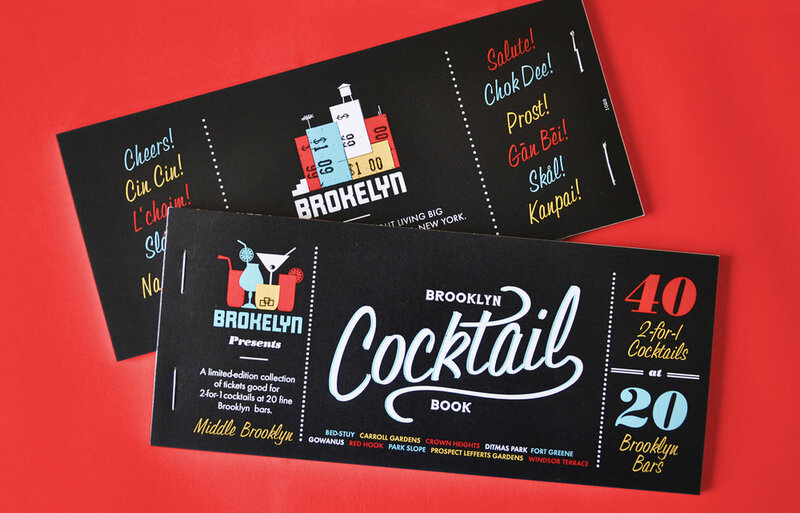 After several years of hawking wildly successful Beer Books, they asked Madd Design to help them elevate the concept to create the Brooklyn Cocktail book. 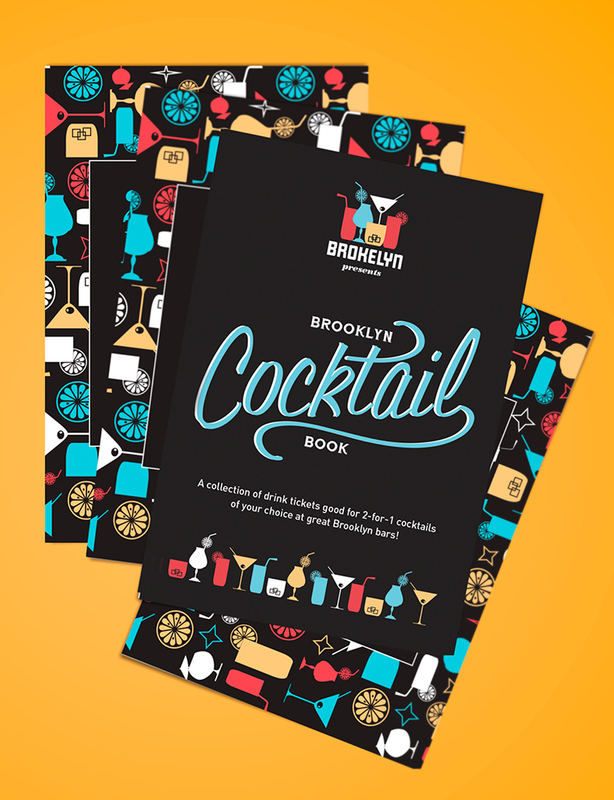 We needed to stick with the same format as the Beer Book to keep production costs low and leverage Brokelyn's existing brand recognition, while also creating a fresh, fun, and more sophisticated look and feel. Taking inspiration from midcentury design and the heyday of tiki cocktails, we created a punchy pattern of illustrations and sourced midcentury sign painter fonts. We even created a twist on Brokelyn's iconic "price tag skyline" logo (designed by The Heads of State) using high balls and martini glasses.